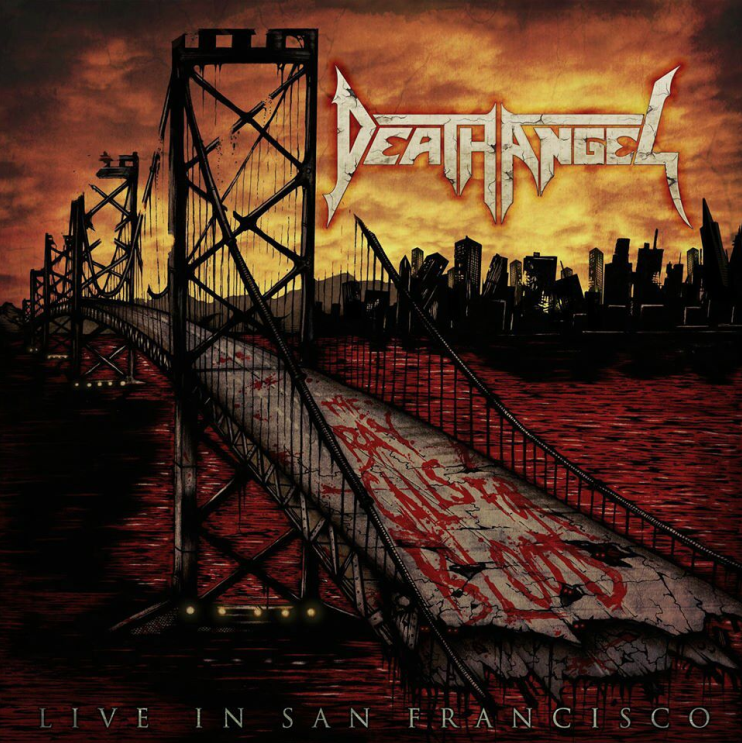 San Francisco Bay Area thrash veterans DEATH ANGEL have released a live rendition of the song “Fallen”, which is taken from their upcoming The Bay Calls For Blood – Live In San Francisco album. The track will also be included with the release of their a thrashumentary DVD. Check out the video for "Fallen" on KNAC.COM right HERE. The a thrashumentary DVD release was directed, shot and edited by Tommy Jones (KATAKLYSM, SOILWORK, LAMB OF GOD, CARCASS, TESTAMENT) of Videohammer Studios will be released July 24th via Nuclear Blast Records. The release will include a bonus full live album entitled The Bay Calls For Blood – Live In San Francisco. The Bay Calls For Blood – Live In San Francisco will also be sold as a vinyl LP exclusively through Nuclear Blast mail-order and will be made available in the digital format as well. Artwork for the LP version was created by Joey James Hernandez. Not every band can rise up to be musical legends, but every once in a while a group is able to exceed all expectations and define the boundaries of a genre. Seven albums into their career and DEATH ANGEL has never been stronger or more vital to the scene. Among one of the youngest bands ever to storm the metal world, DEATH ANGEL have come to be known as one of the most influential bands to emerge from the 80s Bay Area Thrash Metal scene. DEATH ANGEL weren’t just a band, they were family! Originally formed in 1982 by five cousins, including surviving members guitarists Rob Cavestany and vocalist Mark Osegueda, a thrashumentary tells the story of the bands incredible musical journey and of a dream that called for blood. "The Dream Calls For Blood"
"Execution" / "Don't Save Me"